The man blamed for killing at least 93 people during terrorist attacks on Norway’s government headquarters and an island retreat for young people wanted to trigger an anti-Muslim revolution in Norwegian society, his lawyer said Sunday. Police said they were analyzing the approximately 1,500-page document. They said it was published Friday shortly before the back-to-back bomb and gun attacks. Breivik’s lawyer, Geir Lippestad, said his client wrote the document alone. While police said they were investigating reports of a second assailant on the island, the lawyer said Breivik claims no one helped him. That day, a bomb killed seven people in downtown Oslo and, about 90 minutes later, a gunman began opening fire on about 600 young people at a retreat on Utoya Island. Police said the death toll in the shooting rose by one Sunday to 86. That brings total fatalities to 93, with more than 90 wounded. People remain missing at both scenes. Police have not released the names of any victims. Authorities revealed Sunday that one of the attacker’s first victims on the island was an off-duty police officer who had been hired by the camp directors to provide private security in his spare time. Oslo Police Union Chairman Sigve Bolstad declined to identify the victim. That detail sheds new light on the confusion many survivors described during the 90-minute massacre. The attacker arrived dressed as a policeman, and some campers were killed when they approached the killer thinking he was there to save them. Dr. Colin Poole, head of surgery at Ringriket Hospital in Honefoss northwest of Oslo, told The Associated Press the gunman used special bullets designed to disintegrate inside the body and cause maximum internal damage. Poole said surgeons treating 16 gunshot victims have recovered no full bullets. Ballistics experts say the so-called “dum-dum” bullets also are lighter in weight and can be fired with greater accuracy over varying distances. They commonly are used by air marshals and hunters of small animals. Such characteristics potentially would have allowed the gunman to carry more ammunition and fire his weapons at varying targets without adjusting his sights. Officials at the lakeside scene of the island shooting spent Sunday continuing to account for the dead. Six hearses pulled up at the shoreline as orange-jacketed Red Cross searchers on small boats slowly explored the extensive shoreline. Body parts remain inside the Oslo building, which housed the prime minister’s office. In a chilling allusion to the fact that the tragedy could have even been greater, police said Sunday that Breivik still had “a considerable amount” of ammunition for both his guns — a pistol and an automatic rifle — when he surrendered. Police and his lawyer have said that Breivik confessed to the twin attacks, but denied criminal responsibility for a day that shook peaceful Norway to its core and was the deadliest ever in peacetime. Breivik has been charged with terrorism and will be arraigned Monday. Police Chief Sveinung Sponheim said a forensics expert from Interpol was joining the investigation Sunday. European security officials said they were aware of increased Internet chatter from individuals claiming they belonged to the Knights Templar group that Breivik describes, in fantastical terms, in the manifesto. They said they were still investigating claims that Breivik, and other far-right individuals, attended a London meeting of the group in 2002. The two officials spoke on condition of anonymity because they were not authorized to speak about the investigation. The officials would not confirm whether they had identified Breivik as a potential threat. 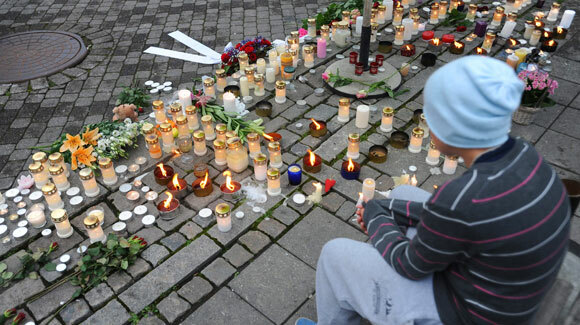 As authorities pursued the suspect’s motives, Oslo mourned the victims. Norway’s King Harald V and his wife Queen Sonja and Prime Minister Jens Stoltenberg crowded into Oslo Cathedral, where the pews were packed, and people spilled into the plaza outside. The area was strewn with flowers and candles, and people who could not fit inside the grand church huddled under umbrellas amid drizzling rain. Afterward, people sobbed and hugged one another in the streets. Many lingered over the flowers and candles. The royal couple and prime minister later visited the site of the bombing in Oslo. The royals then visited shooting survivors at Ringriket Hospital. The attacker picked targets linked to Norway’s left-wing Labor Party. Breivik’s manifesto pilloried the political correctness of liberals and warned that their work would end in the colonization of Europe by Muslims. Such fears may derive, at least in part, from the fact that Norway has grown increasingly multicultural in recent years as the prosperous Nordic nation has opened its arms to thousands of conflict refugees from Pakistan, Iraq and Somalia. The annual Labor Party retreat — which the prime minister, Stoltenberg, fondly remembers attending in his own youth — reflected the country’s changing demographics as the children of immigrants have grown increasingly involved in Labor politics. The assaults have rattled Norway, home to the Nobel Prize for Peace and where the average policeman patrolling in the streets doesn’t carry a firearm. Norwegians pride themselves on the openness of their society and cherish the idea of free expression. Lippestad said Breivik spent years writing the manifesto titled “2083 – A European Declaration of Independence.” It was signed “Andrew Berwick.” The document later explained that 2083 was to be the year when European government would be overthrown en masse. Sponheim, the police chief, said there was no indication whether Breivik had selected his targets or fired randomly on the island. The manifesto vowed revenge on those it accused of betraying Europe. The use of an anglicized pseudonym could be explained by a passage in the manifesto describing the founding, in April 2002 in London, of a group he calls a new Knights Templar. The Knights Templar was a medieval order created to protect Christian pilgrims in the Holy Land after the First Crusade in the 11th century. A 12-minute video clip posted on YouTube with the same title as the manifesto featured symbolic imagery of the Knights Templar and crusader kings as well as slides suggesting Europe is being overrun by Muslims. Police could not confirm whether Breivik posted the video, which also featured photographs of him dressed in a formal military uniform and in a wet suit pointing an assault rifle. In London, the leader of Ramadhan Foundation, one of Britain’s largest Muslim groups, said mosques are being extra vigilant in the wake of the attacks. Mohammed Shafiq told The AP he was talking to European Muslim leaders and British police about the need to increase security. The last 100 pages of the manifesto apparently lay out details of Breivik’s social and personal life, including his steroid use and an intention to solicit prostitutes in the days before the attack. Also Sunday, police carried out raids in an Oslo neighborhood seeking explosives. Police spokesman Henning Holtaas said no explosives were found and no one was arrested. Police said the bomb used in the Oslo blast was a mixture of fertilizer and fuel similar to what home-grown U.S. terrorists used to blow up a federal building in Oklahoma City in 1995. A farm supply store said Saturday they had alerted police that Breivik bought six metric tons of fertilizer, a popular terrorist component for car bombs. Norwegians have always taken pride in their open, trusting society. It’s a country where you might encounter the prime minister at the grocery store and offer a hug. Many police don’t carry guns and most government buildings are unprotected. Homicide is rare, with only a handful of gun-related deaths a year. But as Otto Lovik stood Sunday on a muddy lakeshore overlooking Utoya Island and recalled how he rescued about 60 people fleeing Friday’s massacre by a gunman, the 56-year-old prison guard, still shaking from the experience, said his country must change. As Norway recovers from the initial shock of the shooting rampage and earlier Oslo bombing and begins the mourning process for 93 people who were slain, many predict the nation will never be the same. “It’s going to have a deep, long-lasting impact,” said Atle Dyregrov, director of Norway’s Center for Crisis Psychology, which has helped other countries recover from disasters such as the 2008 China earthquake and this year’s Japanese tsunami. He predicted that Norway’s relaxed security policies and reluctance to impinge of civil rights will give way to familiar restrictions already in place in other Western nations, including limited access to government facilities and increased surveillance of suspected extremist groups. He likened the changes to Sweden’s security tightening after the 1986 assassination of Prime Minister Olof Palme. On Sunday, however, the nation’s focus was on grieving and healing. National flags throughout the capital flew at half staff. At the ornate Oslo Domkirken cathedral in the heart of the capital, hundreds participated in a national mourning ceremony attended by the prime minister, King Harald, Queen Sonja and some of the young people who escaped the island attack. The suspect, Anders Behring Breivik, is expected to be formally charged Monday. “A heavy darkness is now clouding our lives,” Bishop Helga Haugland Byfuglien told tearful mourners, urging them to maintain their faith in the goodness of Norway’s people and commitment toward an open society. In an emotional address, Norwegian Prime Minister Jens Stoltenberg said Norway would not be cowed. “Our answer is more democracy, more openness, more humanity, but never naivete,” he said. Outside the cathedral, just blocks from the site of the Friday bomb blast that killed at least eight people, well-wishers laid flowers and candles in a makeshift memorial that by nightfall was spreading into the streets. Waiting in line to enter the cathedral to pay her respects, Oslo resident Christine Arnese, a 47-year-old nurse, stood alone with tears streaming down her cheeks. But as the scale of the tragedy sunk in, fears about possible future attacks were already leading some Norwegians to call on the government to bolster security. Some said that police guards who were dispatched to government facilities in the hours after the attacks should become permanent fixtures. Others called for tougher punishments for terrorists, complaining that estimates Breivik that would face only 21 years in prison if convicted underscores the inadequacy of current law. “We have to do more to protect ourselves,” said Julie Groseth, who works at a small market overlooking Utoya Island in the community of Hole. She said she worried about copy-cat attacks. At one of Oslo’s main mosques, many Pakistan-born immigrants expressed apprehension about how the attacks may affect Norwegian society and its tolerance of foreigners. “When we first heard about the attacks, we all gathered together and prayed,” said mosque official Mohamed Sulieman, who moved to Norway 35 years ago. First they prayed for the victims, he said. Then they prayed that the perpetrators would not turn out to be Islamic extremists. The country has reason enough to fear retribution from overseas extremists: Its troops serve in Afghanistan, where 10 Norwegian soldiers have been killed. Though he said they were relieved to hear authorities describe Breivik as a home-grown terrorist who acted alone, some remain concerned that any tighter security rules or rising public anxieties might nevertheless trigger a backlash against them. At times in the past, the increasing presence of immigrants and foreigners in Norway has come under criticism from conservative parties. With the resignation of Hosni Mubarak as president of Egypt and the transition of presidential powers to the military, leaders across Europe have called for a quick transition from military to democratic rule. And in cities across the Middle East, celebrations erupted in support of Egypt’s anti-government protests that brought down the man who had ruled Egypt for three decades. As the protesters who had been calling for Mubarak to resign celebrated their victory in Cairo’s Tahrir Square, leaders across the world marked this milestone in Middle East history. 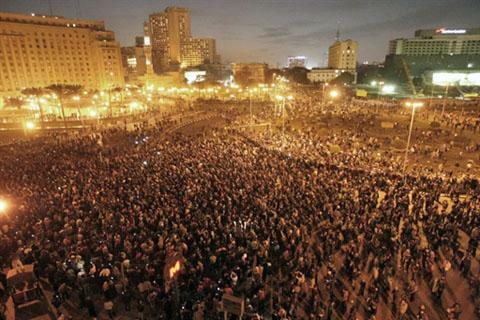 Since the protests began late last month, Western leaders had walked a tightrope, calling for democratic reform, but stopping short of openly calling for Mubarak, a long-time ally in the region, to resign. The call for a quick transition from military to democratic rule was echoed across the capitals of Europe. German Chancellor Angela Merkel urged Egypt to honor its international obligations. She said that by resigning, Mubarak “did one last service to the people of Egypt.” She expressed hope that future Egyptian governments would continue with peace in the Middle East and honor the treaties with Israel, saying the safety of Israel must be guaranteed. In Tunisia, where a wave of unrest just a few weeks ago forced the collapse of that country’s government and inspired Egyptians and others, few could believe the chain of events that has since swept through the region. Across the Middle East, people are taking to the streets in solidarity with the Egyptian protesters. In Jordan, which has witnessed its own anti-government protests on a smaller scale, Egyptian flags filled the night sky. It was the same story in Gaza where the roads filled with people celebrating. Hamas, which controls the Gaza strip, offered its support through spokesman Sami Abu Zuhri. Zuhri said the resignation announcement in Egypt was the start of “victory of the Egyptian revolution,” and that Hamas supported the demands of the Egyptian people. That final sentiment likely will be on the minds of many world leaders. While they praise Egypt’s show of people power, governments across the Arab world and beyond are wondering where might be next. 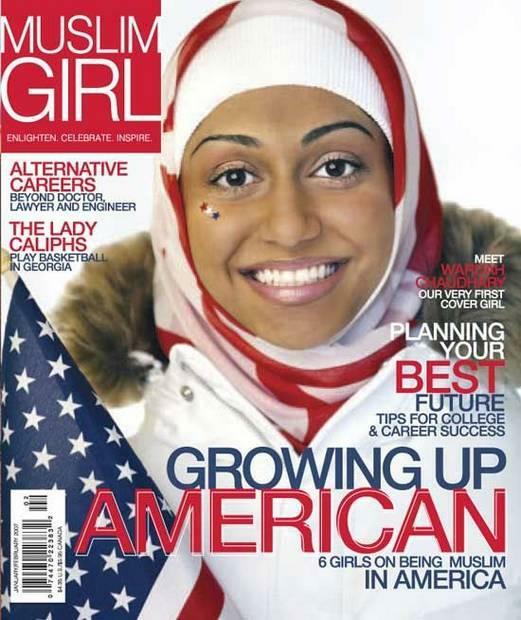 U.S. companies are loosing out by neglecting a rather attractive and overlooked consumer: American Muslims. There is an estimate number of six to eight million Muslims in this country that possess an annual spending power between $170 and $200 billion. It is believed that two-thirds of Muslim households make more than $50,000 a year and a quarter earn over $100,000. Miles Young, chief executive officer of Ogilvy & Mather Worldwide, an international advertising, marketing and public relations agency, said in a speech at this past December’s second annual American Muslim Consumer Conference that Muslims are the best-educated religious group in America and over 40% have bachelors’ degrees. Clearly, this is a consumer that companies cannot afford to not attract. So why is it that companies in Europe have been able to successfully attract and retain the interest of their Muslim consumers? It also helps that Muslims in Europe are not stereotyped like Muslims in America, added Sabra. It’s only been recent that businesses in the U.S. have started to tap into the Muslim consumer market. McDonald’s and Wal-Mart have entered the halal arena and last August, Whole Foods began selling its first nationally distributed halal food product—frozen Indian entrees called Saffron Road. But because there is still intensified anti-Muslim feeling throughout the country, this is causing companies to worry that they will be attacked for going after this consumer. But Muslims do not necessarily want companies to be their advocates against opposition, more so as they would appreciate that companies get to understand their values. Mohammed Abdullah, director of the 2009 Conference, said in a press release, “Muslims want to be acknowledged in mainstream media. You don’t need to change your product of show Muslims in your ads. Instead, consider advertising in a Muslim media outlet. Say Eid Mubarak or Ramadan Kareem during the holidays. The Muslim community will respond. When we see an ad we like we send it to our friends and share it with each other,” he said. Of course, the worldwide market for Islamically permitted goods, also known as halal, is the best option for companies interested in attracting the American Muslim. The industry includes foods and seasoning that omit alcohol, pork products, cosmetics, finance and clothing. According to Young, the global halal market is worth $2.1 trillion dollars and it is growing at $500 billion dollars a year. Muslims as entrepreneurs shouldn’t be underestimated either. For example, Tariq Farid developed and launched one of today’s successful and international companies in the floral industry that many know and love as Edible Arrangements. At a panel discussion last week on relations between India and the United States, Strobe Talbott, the former American diplomat, told an audience of Indian business leaders that he had learned a valuable lesson about India: Do not hyphenate it. As in Indo-Pak. (Or, in a close cousin of a hyphen, as in Chindia.) The audience smiled at his epiphany: India matters because it is India. In a nutshell, President Obama is trying to deliver the same message during his three-day visit to India, the first stop on a broader Asian tour. Both countries are eager to build on their improved ties and set up a unique, special relationship, given that together they represent the world’s richest and largest democracies. 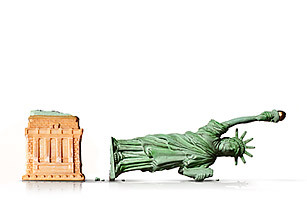 Faced with a rising authoritarian China, and an economically wounded Europe, a weakened United States is casting about for global partners. India would seem a nice fit. “This is the time to be ambitious about this relationship,” said Shivshankar Menon, India’s national security adviser, speaking on the panel with Mr. Talbott. And yet eliminating the hyphen is not easy, especially given India’s fraught relations with its neighbors in what is perhaps the most politically complicated region on earth, one in which American lives and treasure are at stake in Pakistan and Afghanistan. And India’s evolving relationship with another neighbor, China, is also a prime concern for America. Indeed, the decision to focus Mr. Obama’s India trip on India was itself not easily achieved; some senior administration officials lobbied the president to put pressure on Indian leaders for a conciliatory gesture toward Pakistan, in hope that such a carrot might entice the Pakistanis to do more to help America against the Taliban. These sorts of political equations have long tangled the U.S.-India relationship: The Americans, at different times, have pushed the Indians to cut a deal with Pakistan over the disputed region of Kashmir, but the Indians have bristled at any interference. The Indians still want the Americans to sponsor India for a permanent seat on the United Nations Security Council. Not such an easy thing, the Americans reply, since America alone can’t do this and it creates issues between America and China. It has sometimes seemed like a relationship built around one country asking the other to do something it considers against its self-interest. 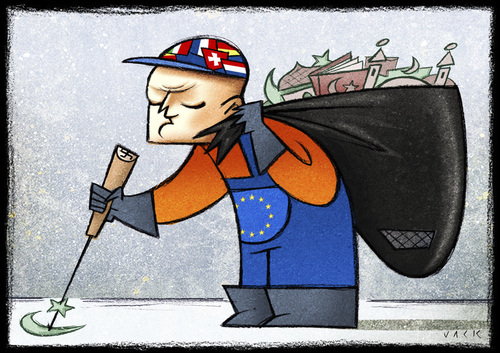 Moreover, the economic relationship between the two countries often has been a source of friction. High unemployment in America has renewed complaints that outsourcing to India hurts American workers. Indians complain that American protectionism is hurting Indian companies and that American export restrictions on technologies that can have both military and civil uses are outdated and unnecessary in a relationship between putative allies. Mr. Obama’s trip is an attempt to reboot or refocus the relationship away from these disputes and de-emphasize the tangible goodies (for example, contracts) that politicians call “deliverables.” Instead, the two sides are discussing how they can partner on education, clean energy, agriculture, technological development and military cooperation. The thematic emphasis of the visit is on shared democratic values — a pointed dig at China — and what the two countries say are shared opportunities. American officials say that an expected $4 billion deal for India to buy military transport aircraft — yes, a goodie — will provide thousands of American jobs. Indian officials emphasize that trade between the two countries is basically balanced — unlike with China — and that the anger over outsourcing is misplaced, especially since some Indian companies are investing and creating jobs in the United States. Some Indian commentators have groused that all the diplospeak about shared opportunities obscures the fact that the trip lacks a “big idea” to excite or elevate the relationship, even as big, unavoidable problems are seemingly being avoided. In 2000, former President Bill Clinton spent five days in India on a door-opening visit that was credited with righting what had been a stalled relationship. Then former President George W. Bush made the most dramatic gesture by pushing through an agreement to cooperate on civilian nuclear projects; the move effectively legitimized India as a nuclear power and lifted a 30-year moratorium on nuclear trade with India even though India had not signed the Nuclear Nonproliferation Treaty. By comparison, Mr. Obama seems not to be offering much. “The jury is out,” said Shekhar Gupta, editor of The Indian Express, speaking of how India’s political establishment views Mr. Obama. But Ronen Sen, who recently retired from India’s diplomatic corps after serving as ambassador to the United States, says the focus on a “big idea” is misplaced. Given the litany of difficult problems between the two countries, Mr. Sen said, Mr. Obama’s approach was a reasonable way to build trust and broaden a bilateral relationship that, while greatly improved, had not yet fully matured. “It has not yet reached a critical mass where it can be self sustaining,” Mr. Sen said. Indeed, even the landmark civil nuclear deal remains a subject of dispute as the two sides still squabble over fine details of how American suppliers could begin doing business in the lucrative Indian market. The Americans say that rules recently approved by India are inconsistent with accepted global practice, which exempts foreign suppliers from liability in cases of accidents, leaving it solely with local operators. A senior American official said “intense discussions” were underway to find a solution. 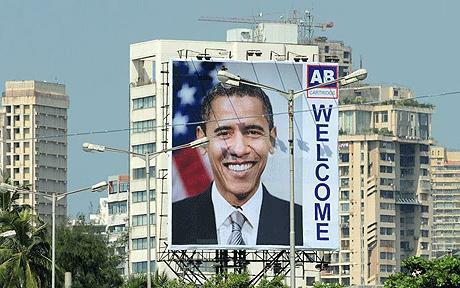 If one is found, Mr. Obama may get a nice “deliverable” — an open door through which American firms, as originally expected, can sell nuclear equipment to India and provide jobs at home. There is less talk of the chances of solving bigger problems, like differences between America and India in global negotiations on global warming climate change and trade. And the uncertainty over the most problematic hyphens — Afghanistan and Pakistan — looms over the visit. Even as Mr. Obama seeks a way to stabilize Afghanistan and get out, Indian officials dread the day America leaves. They worry about what will be left behind, since India cannot leave the neighborhood. And so a political courtship will continue, problems and all. Governmental ties already lag far behind the people-to-people relationships. America remains the premier destination for Indian students studying abroad, and Indian immigrants in America have achieved disproportionate success in business, medicine and many other fields. It is this backchannel closeness that serves as a cattle prod nudging the governments to become closer, too. K. Subrahmanyam, a leading Indian defense analyst, believes that India and the United States represent the inevitable and necessary partnership of the 21st century because China’s rise represents a threat to a global order based on democratic principles. He said that demographic trends, too, should bind the two countries together.